How to make five-spice duck salad with chicory and pears? 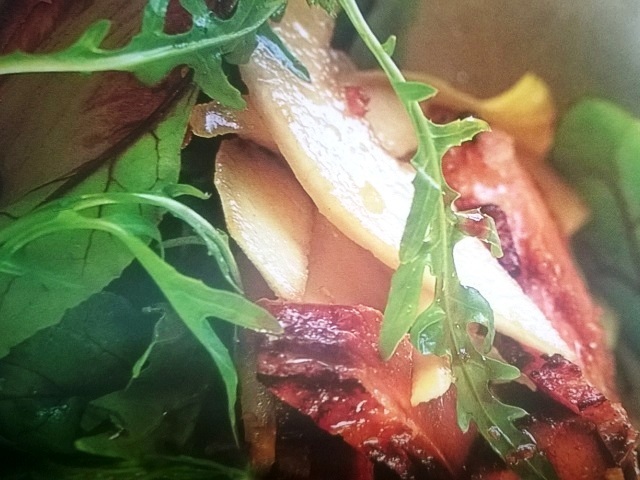 Five-spice duck salad with chicory and pears recipes and ingredient shared on our page. 1. Using a sharp knife, score a diamond pattern into the duck beasts, then marinate them in the soy, honey five-spice and some black pepper for at least 10 minutes but preferably a couple of hours, covered, in the fridge. 2. Preheat the oven to 200 C (fan 180 C), gas. Heat a non-stick frying pan until very hot. Wipe off as much of the marinade as you can from the chicken and place the breasts, skin-side down, in the pan. Sear them until they are brown. Turn the heat down to low and let the fat render out slowly (about 10 minutes). The skin on the duck breasts will end cup crispy. 3. Place the duck on a baking tray and roast for 10 minutes. skin-side up, then let the breasts rest out of the oven for 10 minutes. Slice them thinly. 4. 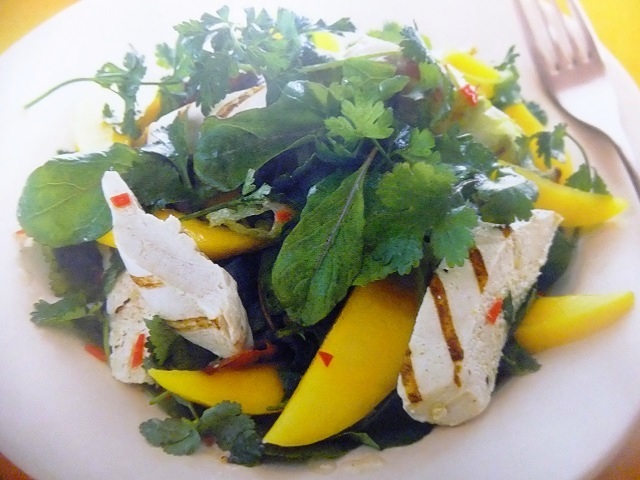 Place the dressing ingredients, together with a generous grinding of black pepper, in a lidded jar. Shake well to combine and set aside. 5. Peel, quarter and core the pear, then cut into thin slices. Season with freshly ground pepper. 6. Arrange the chicory and herb salad on four serving plates and divide the sliced duck and pears between them. 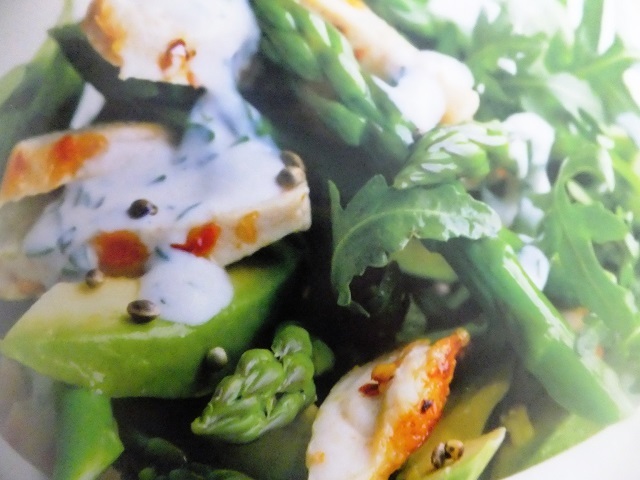 Just before serving, shake the dressing again and drizzle over the salad. Your enjoy meal!